Two Bombers have been chosen in this week’s AFL team of the week. 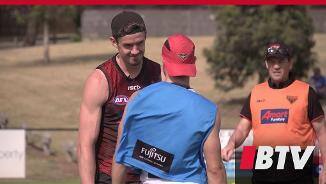 Essendon’s back six may not be the biggest or the strongest, but what they may lack in these areas – they more than make up for in endeavour and hard work. Experienced key defender who was unable to have the effect he would have hoped for at AFL level in 2018. 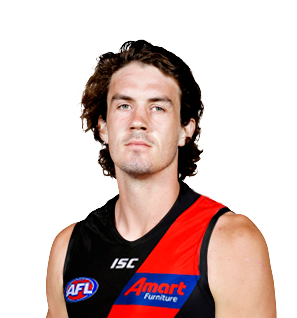 While he only played four senior games, Hartley was as reliable as ever for the Bombers, always forcing a contest against tough opponents and using the ball cleanly out of defence. Hartley didn’t let the disappointment of his lack of AFL game time affect his year either, as he continued to perform strongly and impressively lead the club’s young VFL defensive unit. An eternally positive and popular player, Hartley will once again have a great impact on the squad and continue to push for a return to the senior side in 2019.